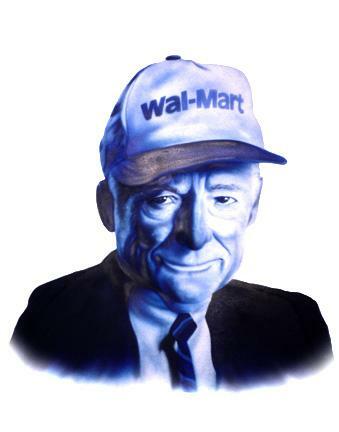 Around the time that the young Sam Walton opened his first stores, U.S. Congress extended the minimum wage to retail workers but granted an exclusion to small businesses with annual sales beneath $250,000. Walton was furious. The mechanization of agriculture had finally reached the backwaters of the Ozark Plateau, where he was opening one store after another. The men and women who had formerly worked on small farms suddenly found themselves redundant, and he could scoop them up for a song, as little as 50 cents an hour. Now the goddamn federal government was telling him he had to pay his workers the $1.15 hourly minimum. Walton’s response was to divide up his stores into individual companies whose revenues didn’t exceed the $250,000 threshold. Eventually, though, a federal court ruled that this was simply a scheme to avoid paying the minimum wage, and he was ordered to pay his workers the accumulated sums he owed them, plus a double-time penalty thrown in for good measure.